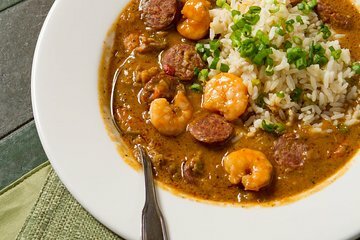 Obtenez le meilleur de la Louisiane avec ce tour historique qui combine toutes les saveurs de la Nouvelle-Orléans avec un voyage dans le passé. Vous suivrez votre guide expert dans huit endroits différents de la ville, notamment des restaurants créoles, des salons de cocktail, des sandwicheries et des bars d’avant-guerre. Cette visite comprend des échantillons d’un maximum de dix plats différents, ainsi que quatre grandes boissons qui mettent en valeur le meilleur de l’héritage culinaire et des cocktails de la Louisiane. C’est l’excursion idéale pour les gourmets et vous permet de voyageurs pour déguster le meilleur en une seule après-midi ! Goûtez aux plats les plus célèbres de la Louisiane et découvrez les meilleurs restaurants et bars de la ville. Great food! Great drinks! Great host! Nate was very friendly and knowledgeable. It was nice to get all the history. Tried things we would not normally have tried and found some new favorites! Book it, you won’t regret it! The tour was great and the guide was very informative. My daughter and I were late for the tour and missed the first tasting. I asked the guide to please call and see if we could go back after the tour to do the tasting as it was Gumbo and looked like bread. He said he would but at the end of the tour he told me to email the owner and ask. It was after 6 and I had no way to email the owner of the tour company. Enjoyed the cocktails, probably never would have ordered them without the tour. The food was samples, I was expecting more. Would have loved to have had more muffaletta. Not a hot sauce fan but my husband got a chance to taste the pepper sauces. A nice small tour, six of us. Our guide was awesome. The food was good and the drinks were plentiful. The Hot Sauce tasting was the only thing that didn't feel like it belonged on this tour. The tour would've been better without that stop. An amazing tour. The food is great. Tour guide was fabulous, incredibly knowledgeable and made it a lot of fun!! We had a great time. Thoroughly enjoyed this tour. This was a fantastic tour, our guide explained the history of each cocktail, the local history and the food. We went to fascinating places that you would pass without a thought on your own, steeped in history with terrific food. This is definitely a must-do!